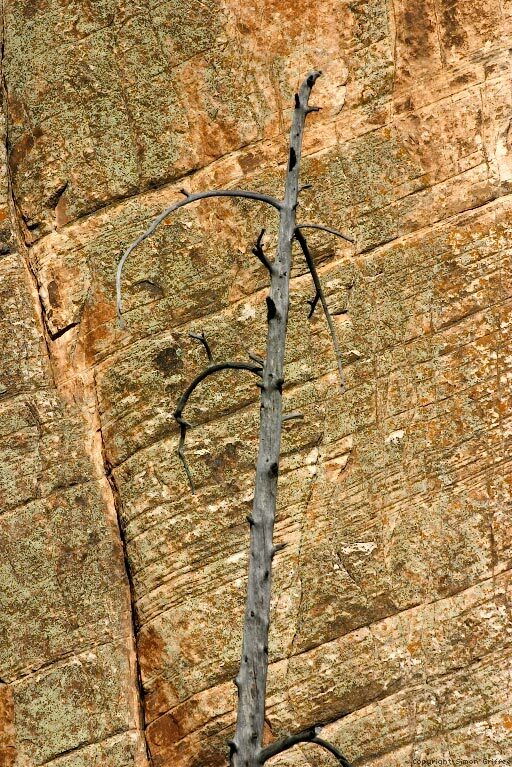 Various different types of vegetation live and die at all elevations in the Grand Canyon. I almost always remember why I shot an image when looking at it again, even years later. The diagonal lines in contrast with the twisted tree branches had caught my eye here. Humans are pattern-deciphering creatures, and, I believe, naturally attracted to patterns. Photography lets me be attracted to and explore patterns in a natural, instinctive way rather than in a forced, contrived way. Working in a job you don’t like, doing things that you don’t care about, finishing school to go to college to get a job to make money to have ‘security’ in retirement and then, die—not doing what you love—these are examples of forced, contrived patterns.